September 7. 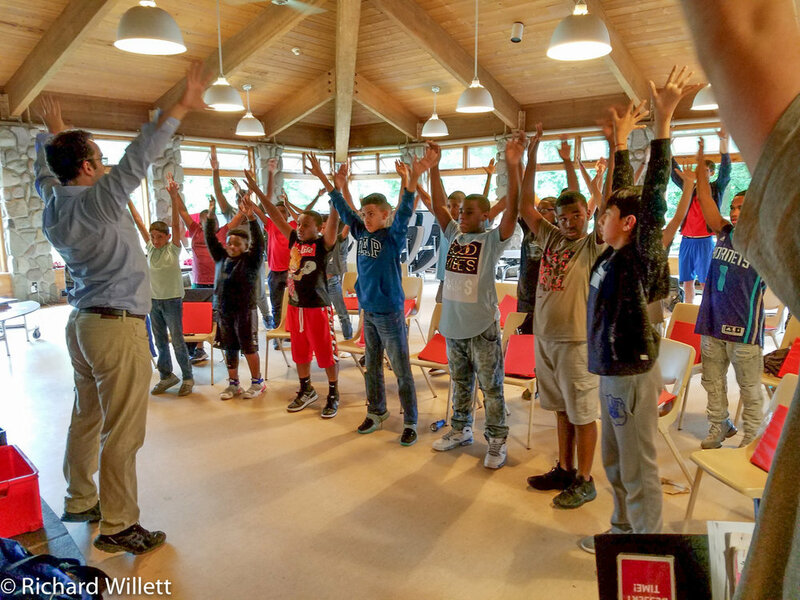 While our 3rd through 5th graders participated in a special orientation at the school, our Concert Chorus members traveled to the Frost Valley YMCA camp in New York State. Our annual music retreat, provides a distraction-free environment for everyone to develop the skills, discipline and focus necessary for a world-class choral group. One of the music retreat activities this year was a full day Musica Sacra student master class for the students. 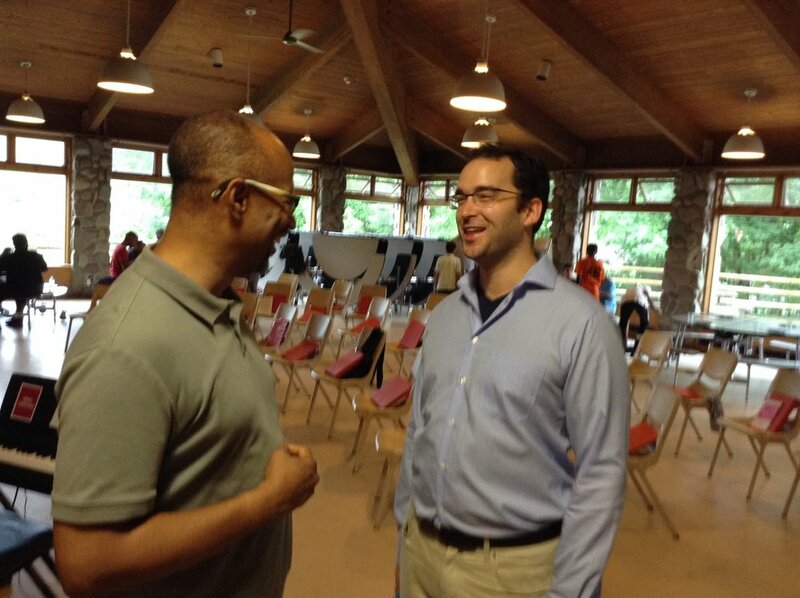 The master class was presented by Michael Sheetz, Assistant Conductor of Musica Sacra and Jamet Pittman a soprano with the group. Jamet’s many accomplishments include performances as a diva in “3 Mo’ Diva’s”and in Baz Luhmann’s LaBoheme on Broadway. The master class was in two parts. In the morning, Michael led exercises for developing a correct sitting and standing posture, proper engagement in breathing and support, and vocal techniques for maintaining good singing tone and diction from their head voice to their lower register. Jamet continued with some physical exercises to free their vocal instruments to be musically expressive. After lunch, the chorus performed their rendition of "This Little Light of Mine" and we provided feedback, applying some of the techniques from the morning session to their repertoire. Jamet sang an aria "Quia Respexit" from the Bach Magnificat and an a cappella spiritual "The City of Heaven." A Q and A followed with the students. According to Michael, "we had a wonderful time - very inspiring to see the boys at work with a great team - it's a pleasure to work with the music department at NBCS, Don, Brian and Sam. We look forward to future classes and our collaboration at Saint John the Divine in October." James Felton performs for the chorus. Boating and leisure activities were also part of the camp. "It was a great experience; the Chorus is preparing well. We started home at 2:00 PM on Saturday," concluded Don Morris, Choral Director. The Musica Sacra workshops and our concerts this year are supported by financial commitments by the Horizon Foundation of New Jersey, New Jersey Council on the Arts, ArtNewark, Niles Foundation, and the NJM Foundation.